The best movie I’ve seen so far this year is Upstream Color. 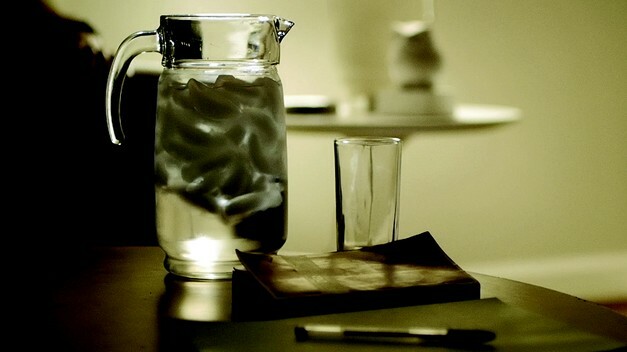 It’s the second film by Shane Carruth, the director/writer/everything else of Primer. 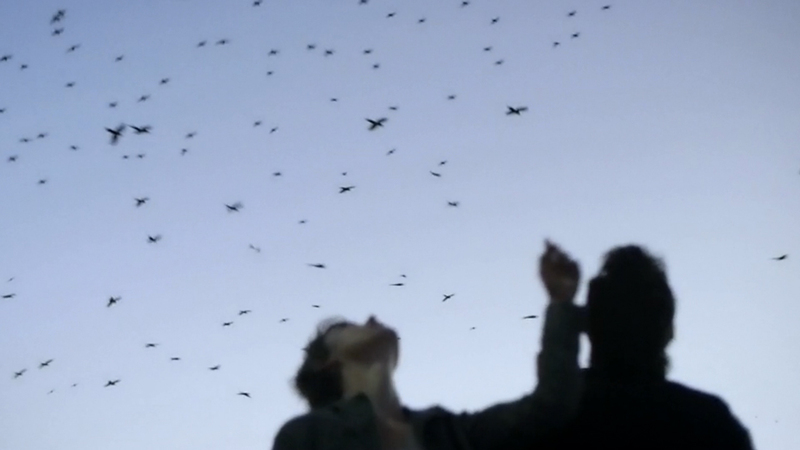 Upstream Color is strangely affecting, beautiful, and terrifying. Some notes after the jump. Spoilers, etc. -Kris, the main character, is abducted by The Thief. He has abducted others before. He forces her to eat a worm, which gives him control over her. -The Thief takes money from Kris. He also has her perform several basic tasks, including writing out Thoreau’s Walden in longhand. -When The Thief has all the money he can steal, The Sampler takes over. He removes the worm (which at this point is very long) from her body and puts it in a pig. -Kris has a psychic connection with the pig. -The Sampler is a musician who, while near the pigs, views the lives of the former hosts. It’s implied that this gives him inspiration for his music, but that relationship wasn’t entirely clear to me. -Kris meets Jeff, and they become romantically involved. Jeff was also abducted by The Thief, and he has a pig he’s connected to as well. -After the birth, The Sampler takes the piglets and drowns them. This terrifies Kris and Jeff — they’re connected to the pigs and act as if the piglets are their children. -The piglets’ bodies release a blue substance into a tree above them. The tree then absorbs the substance and transfers it into its flowers. After that, people from a florist (the same florist as shown in the very beginning of the film) come and take the flowers. The Thief takes the infected worms living in the soil around the flowers and the cycle begins again. This cycle is important — this allows the blue substance to cycle through the ecosystem. -Kris and Jeff figure out their connection to Walden. -Kris and Jeff find The Sampler by following a trail of sound — this shows that while The Sampler is able to see into their life, they are able to see somewhat into his. -Jeff lures The Sampler into watching him through his pig while Kris sneaks in and kills The Sampler in real life. -Kris and Jeff contact the other hosts and they come to the pig farm. Since The Sampler isn’t throwing any pigs in the river, the flowers never become contaminated and the cycle comes to a halt. A clarification on the nature of the blue substance — it seems to be some kind of psychic disease. Infected organisms are psychically connected to other infected ones. The summary I’ve presented is also pretty barebones. I’m just trying to get a concrete plot down to work with. Carruth doesn’t directly communicate plot in the film — traditional exposition through dialogue and voiceover are nonexistent. The audience has to work to put it together, and it invites the viewer to be involved in its assembly. That isn’t to say there’s a lack of story (or even a turning away from), it’s just presented in a way that favors mood and sensory experience rather than blunt storytelling. The way the story is told works quite well. When Kris is confused, we’re confused. When Kris and Jeff are confusing their pasts, the audience isn’t given any way to untangle them. We’ve been taught that the best way to approach any story is to be as clear and direct as possible, but what happens when the story isn’t direct? Carruth understands the advantage of an elliptical approach. Partway through the movie is a short section where The Sampler sees into the life of one of the human hosts. He is a young, sad married man whose relationship is falling apart. The scene is necessary to show how The Sampler operates, but the dialogue feels forced and melodramatic, and poorly acted as well. I think it was a mistake to step away from Kris and Jeff, particularly since the audience is already invested in their story. My last point was going to be about the unique genre structure of the film — abduction, romance, revenge — but it’s discussed by Carruth and Sam Adams at The A.V. Club, and anything I have to say about that is already said better in there.